LYON, France, March 30, 2012 (ENS) – For the first time, heads of environmental, biodiversity and natural resources agencies from across the world have met with heads of law enforcement agencies to craft a global compliance and enforcement strategy for environmental security. 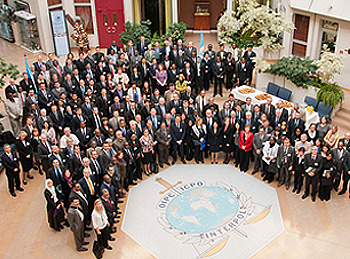 Convened this week by Interpol and the United Nations Environment Programme, the International Chiefs of Environmental Compliance and Enforcement Summit drew some 230 delegates from 70 countries to Interpol headquarters in Lyon. The three-day summit concluded Thursday with an agreement to focus on key environmental crime issues – fisheries, forestry, pollution and wildlife crime, as well as violence, money laundering and tax evasion. 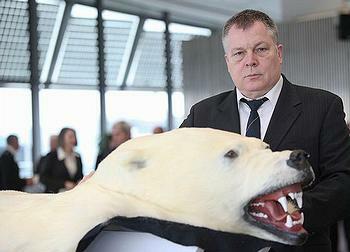 Bernd Rossbach, Interpol’s acting executive director of Police Services, said evidence that environmental crime is connected to other forms of serious and organized crime is increasing. “Interpol has helped to ensure that environment crime has become more mainstream and recognized for what it is, a form of serious, organized and often transnational crime,” said Rossbach. The international police force says the same routes used to smuggle wildlife across countries and continents are often used to smuggle weapons, drugs and people. Environmental crime often occurs hand in hand with other offenses such as passport fraud, corruption, money laundering and murder. David Higgins, who heads Interpol’s three-year-old Environmental Crime Programme, told delegates that the “crucial” element of environmental security underpins political, economic, community and social security. “Without the natural resources, the environment we require such as the air and the water and the biodiversity, the ecosystem, then we don’t have an environment for us to be able to live as species and humanity,” he said. Higgins said this environmental imperative was discussed and raised throughout the summit meeting and the compliance and enforcement chiefs are working on both short-term and long-term solutions. Delegates agreed on the importance of raising the level of awareness within and across governments to encourage communication internationally to meet investigative requests, enhance information and intelligence exchanges and work together to fight environmental crime. They agreed to form a temporary advisory board to steer an international collective effort on environmental security via Interpol’s Environmental Crime Programme. They considered recommendations to bridge gaps in investigative assistance and operational support, information management and capacity building standards, and improve networks supporting intelligence-led enforcement. Masa Nagai, acting deputy director with UNEP’s Division of Environmental Law and Conventions, told summit delegates that currently compliance and enforcement are not adequate to eradicate environmental crime. 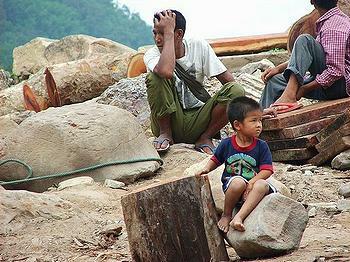 “While countries around the world and the international community have made important progress in establishing national and international environmental policies, institutions and laws in the past decades, the implementation of environmental compliance with agreed institutional goals and enforcement of environmental laws remain inadequate,” said Nagai. To advance compliance and enforcement regimes, Nagai is looking towards the World Congress on Justice, Governance and Law for Environmental Sustainability to be held in Rio de Janeiro this June ahead of the UN Conference on Sustainable Development, known as Rio+20. The progress made at the joint Interpol-UNEP summit is intended to inform deliberations at the World Congress. 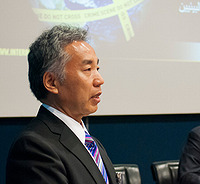 During the Investigative Assistance and Operational Support panel led by Rob de Rijck, a public prosecutor with the Department of Justice in The Netherlands, it became clear that there is a need for operational assistance and also a need to raise awareness for collaboration on a strategic level to combat environmental crime. During a side meeting on prosecution in environmental cases, prosecutors said investigations should be prosecutor-led as well as intelligence-led. They said that judges must be made aware of the seriousness of environmental crime and prosecutors need to play a role in achieving this greater level of awareness. The Information Management panel led by Sheldon Jordan, national director of wildlife enforcement with Environment Canada, explored the key roles that member countries and Interpol can play in sharing information and developing intelligence-led enforcement to combat environmental crime worldwide. The Capacity Building Standards panel led by Ignacia Moreno, assistant attorney general, Environment and Natural Resources Division, United States Department of Justice, said the pillars of capacity building are staff motivation, training and recurrent assessment. The panel considered whether Interpol and UNEP should serve as a clearing house for capacity-building efforts worldwide. The Effective Networks panel led Kimberley Dripps, deputy secretary with Australia’s Department of Sustainability, Environment, Water, Populations and Communities, recommended mapping of existing networks and exploration of the need for “issues based” networks in two areas: countries which are transit points and countries with substantial mining and industrial development. This panel recommended exploring opportunities to include environmental crime objectives into the work of environmental treaties.